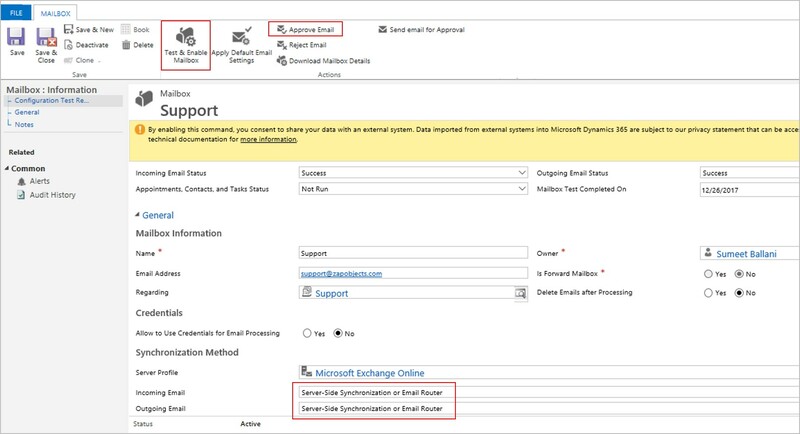 The first step in configuring Helpdesk – Email to Case is to setup a generic support queue (e.g. support@zapobjects.com) in Microsoft Dynamics 365 CRM which can be used for receiving support related emails from customers. 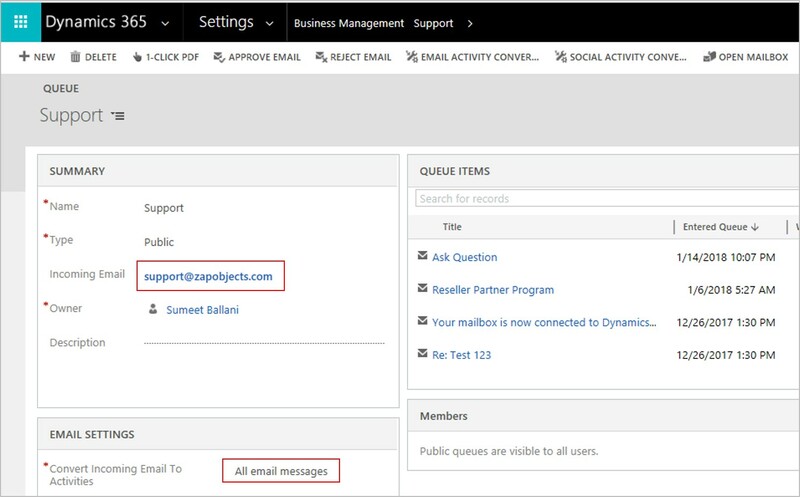 We will be setting up the mailbox of this support queue as a shared mailbox (in Microsoft Office 365) (you can also use an actual mailbox). 1. Shared mailbox do not consume any license. 2. Shared mailbox does not have any credentials. Users added as members of shared mailbox can access this along with their own mailbox. Step 1: Create a shared mailbox in office 365 (e.g. support@zapobjects.com) and add your support team as members of this shared mailbox. 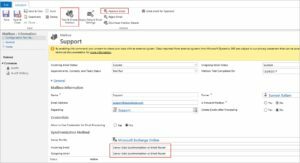 Step 3: Configure server side synchronization settings in Dynamics 365 CRM for this queue. Click “Approve Email” and then click “Test and Enable the mailbox”. Check the “Alerts” section for the status of server side synchronization (Success / Failure). 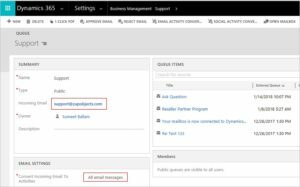 Emails sent to the support address (support@zapobjects.com) will now be available as Queue items in Dynamics 365 CRM! Once this support queue has been set-up, next step would be to configure Zap Helpdesk App – Email-to-Case!